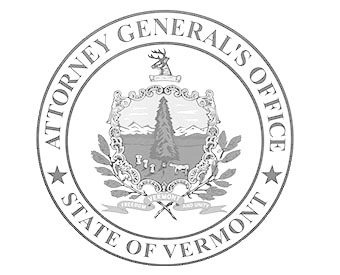 The Attorney General’s Office settled with six landlords in Vermont for violations of consumer protection and lead laws. Vermont’s lead law protects all Vermonters, especially children, from the harmful effects of lead poisoning. Every landlord with pre-1978 rental properties is required to submit annual compliance statements which show that the landlords have performed the essential maintenance practices (known as EMPs) and the properties are in compliance with the lead law. Daryl Wisch, owner of twelve rental properties in Rutland, will pay a $2,500 penalty for falsely certifying that three properties were lead compliant when they were not. Jonathan Pierce, owner of seven rental properties in Barre, Graniteville, and Montpelier, will pay a $3,000 penalty for falsely certifying that two properties were lead compliant when they were not. Roger Demar, owner of sixteen rental properties in Morristown, Hardwick and Johnson, will pay a $3,000 penalty for failing to file EMP statements for seven buildings after notice and warning. Bernadette Hickey, owner of one rental property in Bellows Falls, will pay a $2,500 penalty for falsely certifying that her property was lead compliant when it was not. Andrea Sandor, owner of three rental properties in Springfield and Brandon, was assessed a $5,000 penalty for falsely certifying that one property was lead compliant when it was not. Donna Aiken, owner of one rental property in Bellows Falls, was assessed a $5,000 penalty for falsely certifying that her property was lead compliant when it was not. All six landlords must bring their properties into full compliance with the lead law.